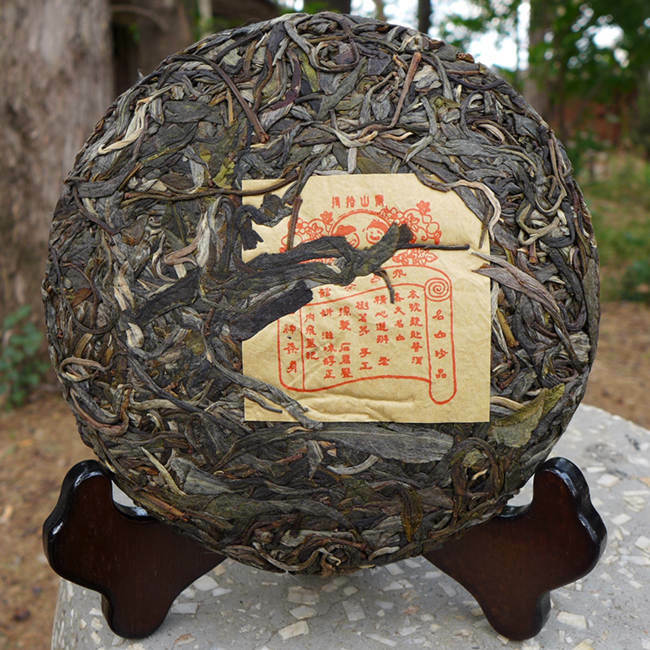 The source of this tea is very similar to 2016 Jinggu Zhen Shan we had last year. It came from another remote ancient garden in the same mountain. Jinggu area is home of many ancient gardens in high mountains, trees growing mostly in good enviroment. The materials come from three different gardens in mountain about one hour by car and then 2 hours of fast walking to the top of the mountain. 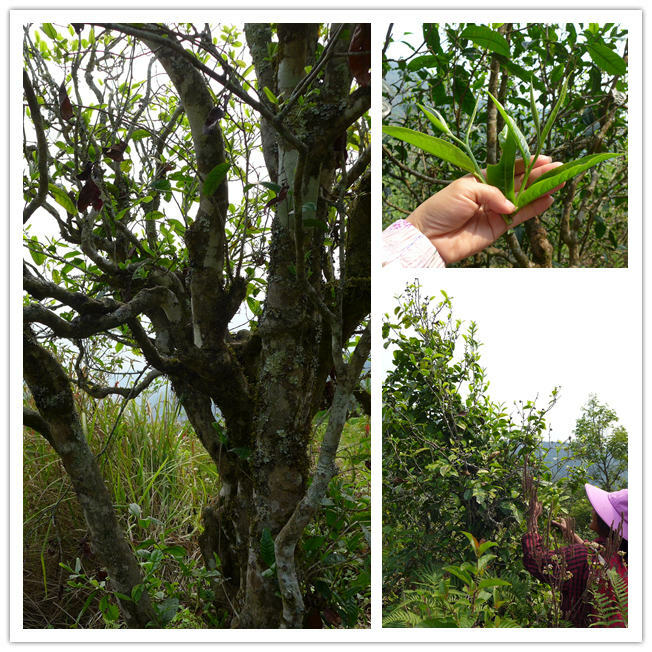 Some tea trees are deep in the forest and some are in more open area in the top of the mountain. Tea trees are in age 150-200 years. The tea for our cake was picked between 16-20th April 2017 and hand processed. 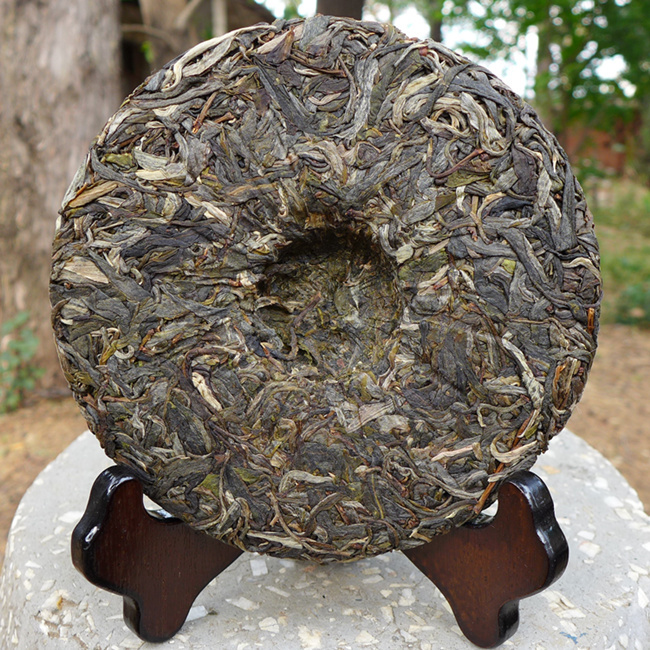 We keep the maocha until January 2018 and then stone pressed in Menghai. This tea is very stable for many infusions. Powerful, slightly bitter, rich with heavy aroma, sweet taste, fast huigan. This tea can be brewed for many times.